Auburn shortstop Will Holland had a breakout sophomore season last year. His success in all facets of the game has professional scouts intrigued as this season approaches. He’s regarded as a potential first-round pick in June’s MLB draft. MLB.com ranks the junior shortstop as the 22nd-best prospect in this year’s draft class. Despite the preseason expectations, Holland is trying to stay focused on Auburn’s success this season. Holland, a 5-foot-10, 181-pound right-handed hitter, posted a .313 batting average with 12 home runs and 52 RBIs in 66 games last season. He struck out 49 times and drew 28 walks and was hit by 13 pitches. It was a notable season after a disappointing freshman year in 2017. He hit .209 with three home runs and 18 RBIs in 45 games. He struck out 31 times and posted 15 walks and four hit by pitches. Last year’s success carried over into the summer, as he impressed scouts in the prestigious Cape Cod League. Despite his size, his top offensive trait is his power. 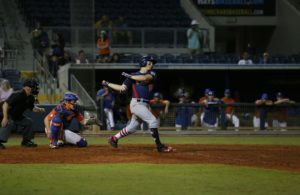 He’s an aggressive hitter and profiles more as a power-hitting shortstop than someone who will consistently hit for a high average in professional baseball. Defensively, Holland has range and above-average arm strength to make all the necessary throws at shortstop. 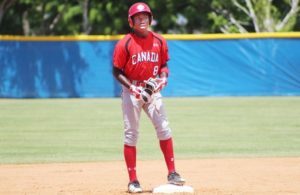 Scouts believe he will remain at shortstop in the pro ranks. Holland also has above-average speed that he utilizes on the bases and in the field. 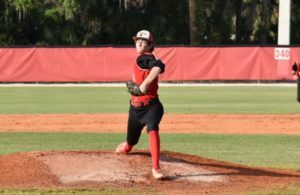 “I think my ability to play clean defense and barrel up the ball three or four times a game is where I feel my biggest strengths are right now,” Holland said. 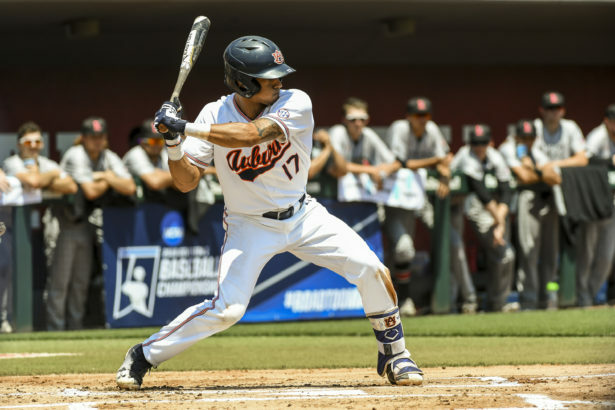 Holland doesn’t have any glaring flaws, but if he can refine his approach at the plate and skills at shortstop, he will strengthen his case at being one of the first shortstops drafted from a deep college crop in June. He’s satisfied with his growth in his first two years and hopes to continue to make strides this season.